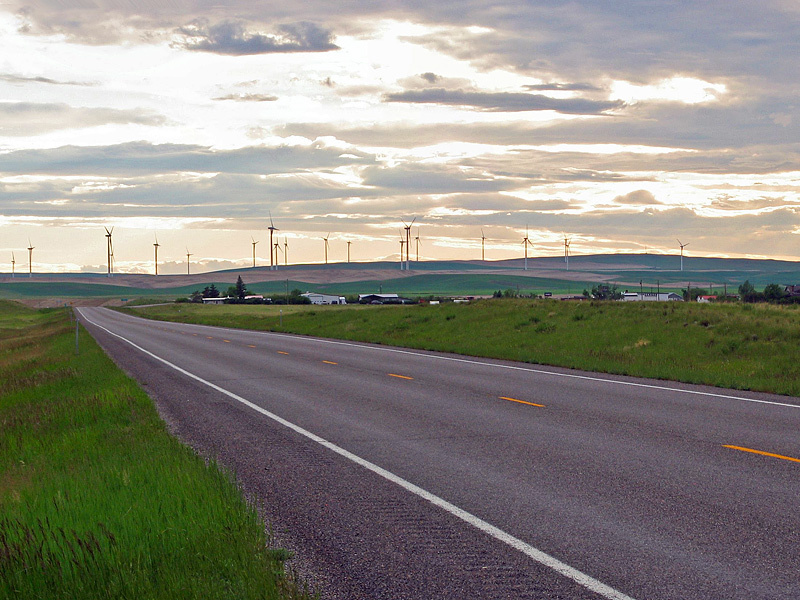 The Glacier Wind Farm is located at Ethridge, Montana on US2 highway. 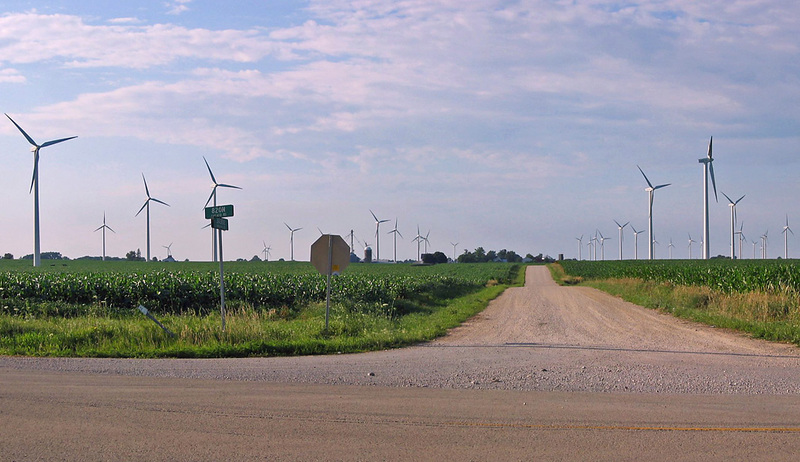 This is a typical Wind farm located on farm land near Paw Paw, Illinois showing turbine towers, a substation, and transmission lines with the surrounding farms. 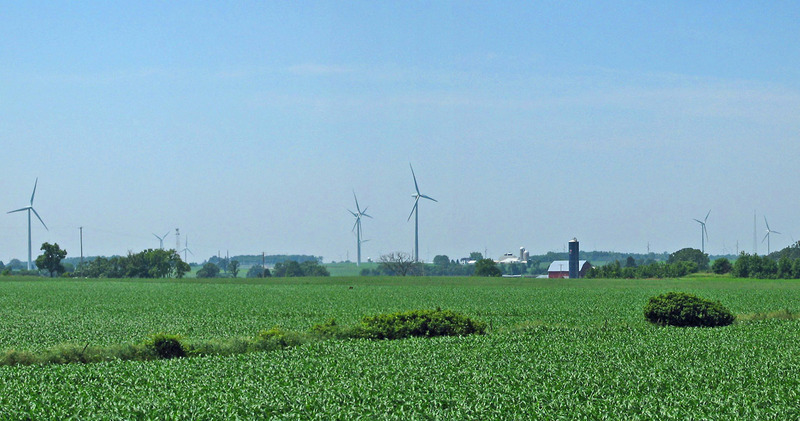 Landowners and farmers are compensated by the Wind Farm developer on a constructual basis for each tower. 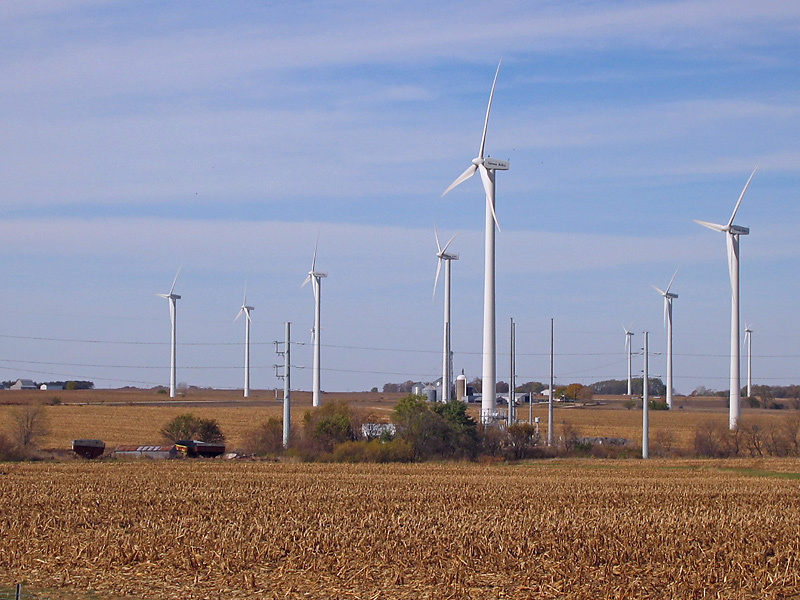 I have become interested in the use of wind farms that are springing up for producing electrical power. 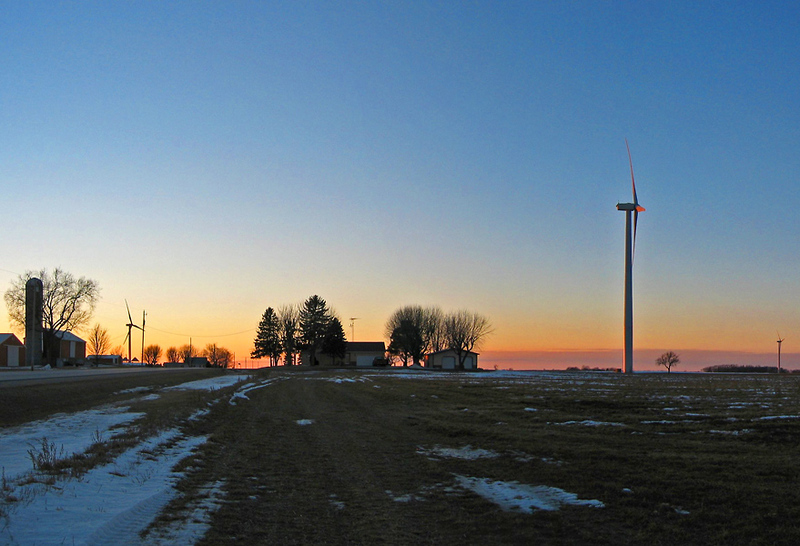 The two wind farms that are shown here are representative of what is happening across the globe. At the end of 2010 the worldwide capacity of wind farms was 194 GW, or approximately 2.5% of worldwide electricity use. This is 2.5X what it was in 2007, because of the push by governments. The largest producers account for approximately 21% of electricity in Denmark, 18% Portugal, 14% the Republic of Ireland, 10% Spain, and 9% Germany. China now has the highest installed windpower capacity at 44.7 MW, next the US at 40.2 MW, and then Germany at 27.2 MW. The cost per unit of energy produced is now estimated to be about the same for coal, gas, and wind. It appears that wind farms will be a viable source for electrical power as long as it is pushed, given support, and financial incentives.